It’s not easy being green. Unless you’re a Florida tomato: a crop that accounts for one-third of the fresh tomatoes grown in the U.S. and 90 percent of the tomatoes sold nationwide throughout winter months. 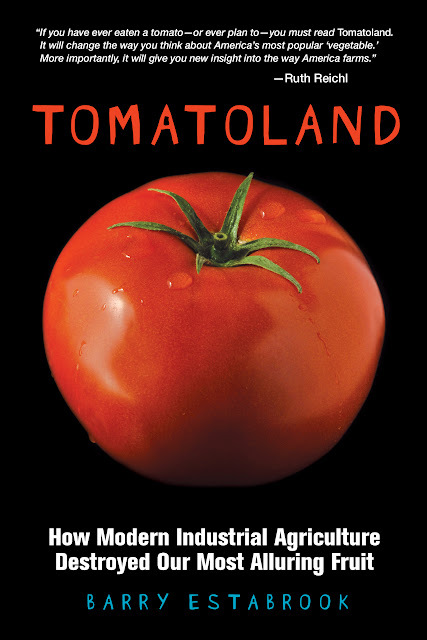 As James Beard Award-winning investigative journalist Barry Estabrook tells it in “Tomatoland: How Modern Industrial Agriculture Destroyed Our Most Alluring Fruit,” the Florida tomato industry is ripe with agricultural-, environmental- and some very personal horrors that come at a cost none of us can afford. But the good news is he and others whose fine work he’s chronicled are helping change that. This week, Estabrook travels to Seattle, where tomorrow, September 27, he’ll speak at the UW Center for Urban Horticulture from 6 p.m. to 8:30 p.m. There, he’ll join Jeff Miller (owner of Willie’s Greens organic farm), chef Lisa Nakamura (owner of Allium restaurant on Orcas Island) and Edmund La Macchia (Whole Foods’ Global VP of procurement and perishables) to discuss “The Consumer’s Conflict: The Cost of Fresh Picked Produce in the 21st Century” [ticket info here].